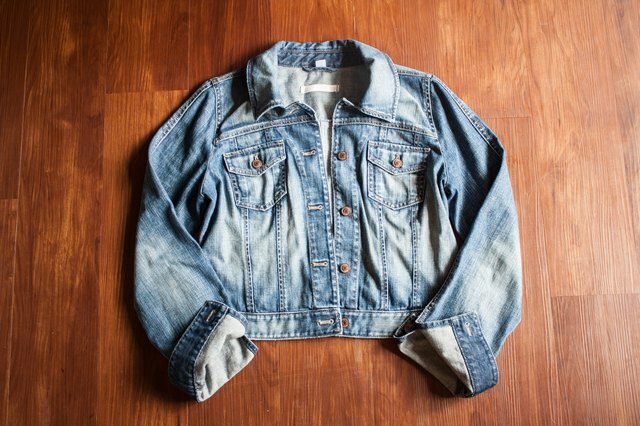 If you have ever wondered what to do with that out-of-style denim jacket hiding in your closet, you’re not alone. 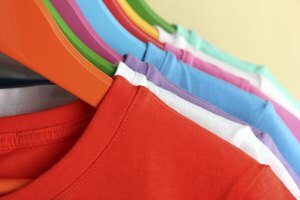 Each and every year, styles change and new fashion trends develop. 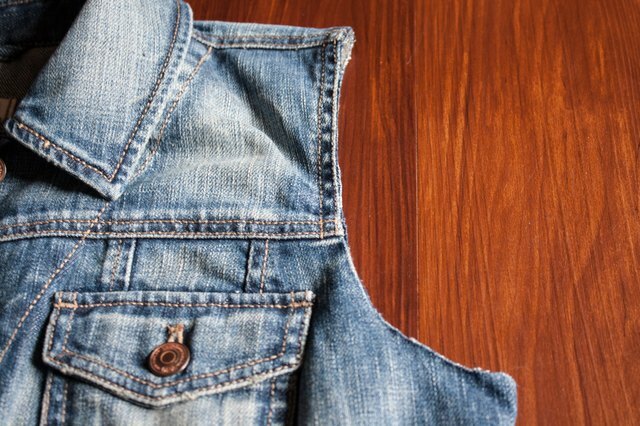 Instead of keeping your denim jacket in the closet collecting dust, give it a refreshed look and turn it into a stylish vest. Position a pair of scissors about 1 inch away from the seam where the left sleeve and shoulder meet. Cut the sleeve in a straight line, following the seam. Repeat with the right sleeve. The cuts do not have to be perfect because you will fine tune the edge. Position the scissors about 1/8 inch from the seam, and cut off the excess denim from each sleeve. 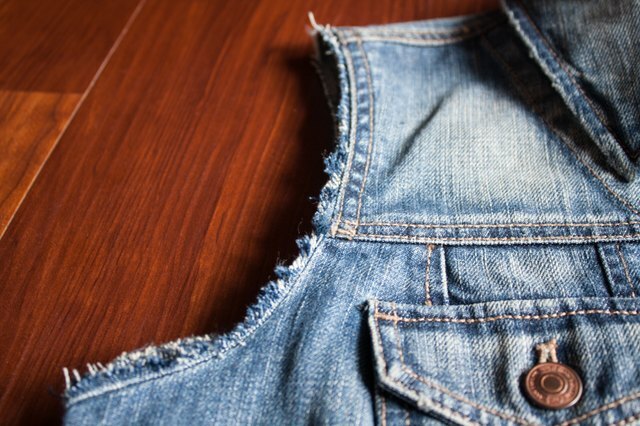 Wash the denim vest to fray the cut edges. This will give it a tattered, worn look. If you'd rather give your vest a cleaner finish, skip Step 2. Instead, position the scissors as close to the seam on the left sleeve as possible. Cut along the seam, removing all the denim from the sleeve. The edges on the vest's shoulders should be the thick seam, with no denim sleeve remaining. Repeat with the right sleeve. 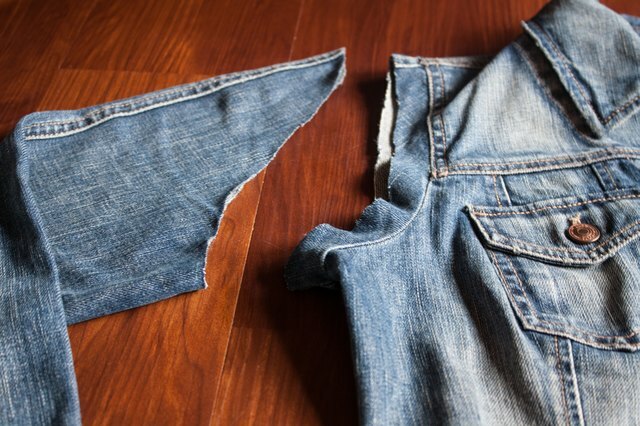 As long as you cut off all the denim on each side, and leave the topstitching intact, the vest won't fray when you wash it. Rob Kemmett began writing professionally in 2010 and specializes in writing about food and hospitality. Kemmett has worked in various fine-dining restaurants throughout his career and holds an Associate of Applied Science in Le Cordon Bleu culinary arts from the Cooking and Hospitality Institute of Chicago.